I would like to issue a formal apology to Ordinary People. For years, I've been using this film as a shining example of an Oscar winner that punched way above its weight, taking home the big prize despite the presence of vastly superior films (The Elephant Man and Raging Bull were both nominated in the same year). But when I actually sat down to watch this movie, I really liked it. So I'm sorry, Ordinary People. I hope you can forgive me for disparaging you as treacly sentimentality for all these years. 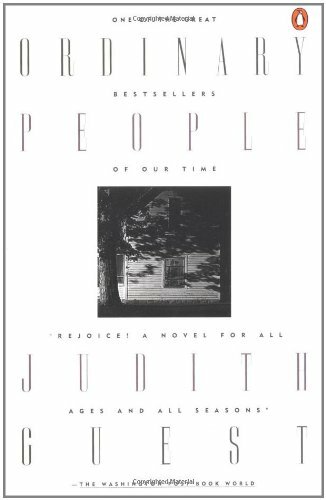 In a lot of ways, Ordinary People feels like something Eugene O'Neill would have written. And I love me an O'Neill play. Basically it's about a dysfunctional upper class family trying to deal with a trauma but never really addressing any of their emotions, instead sweeping their grievances and resentments under the rug until they start to rot. And that's what happens here. 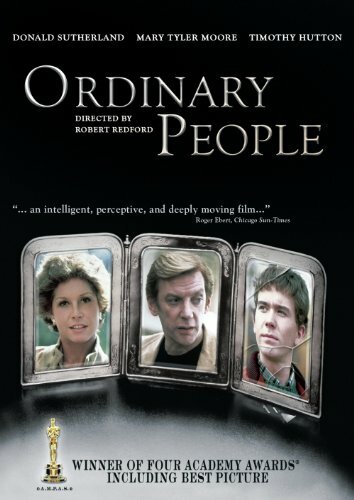 Ordinary People revolves around a family in chaos, only they're too WASPy and emotionally repressed to admit it. The elder son died in a boating accident that his younger brother survived, only to attempt suicide after being wracked with guilt and grief for so long. Conrad is all too aware of being watched like a hawk, every sleepless night and missed breakfast filed away in his father's brain as evidence of a potential relapse. He eventually seeks out the help of a psychiatrist, if only so that he can get everyone off his back. I like the scenes at the psychiatrist's office because they don't feel particularly scripted. I guess that a lot of writers who do therapy scenes have a tendency to overwrite, making each line wrought with hidden meaning, inviting the audience to psychoanalyze right alongside the therapist. This scene feels like a real therapy session, with all the discomfort and awkwardness that goes along with being expected to pour your heart out to a stranger. Judd Hirsch is brilliant in his role as psychiatrist. As their sessions go on, it's clear that he is a man who pulls no punches and is not going to be willing to let Konrad dance around his issues or give easy, pat answers. But he also desperately wants him to understand why he's feeling the way he is and to know that his guilt is misplaced. He comes off as firm but immensely caring, and contrasted with his father, who loves him so much that he treats him with kid gloves for fear of upsetting him, it's clear that this is exactly what Conrad needs. He's certainly not getting what he needs emotionally from his mother, which is one of the most interesting aspects of the film. Mary Tyler Moore plays Beth, a woman who is so emotionally stunted that she can't connect with anyone, but especially her son Conrad. It's no secret that she preferred his older brother, and equally obvious is the fact that Conrad feels guilty that he is one who survived. In one of the film's most uncomfortable and exquisitely sad scenes, they are taking family photos with the grandparents present. Calvin, the father, asks to take a picture of just Beth and Conrad, something that Conrad seems willing to do, but Beth is not. She distances herself from him to the point where she can't bear to take a photo together with him -- the look of barely concealed revulsion at being asked to stand next to him and smile is jarring. She repeatedly asks Calvin to let her take a picture of them instead, her smile turning into a grimace as she makes it clear she does not want to do this, but Calvin is picking up on none of it. Finally Conrad screams at him to give her the goddamn camera, and it's like the entire audience was just slapped in the face. It's a crushing moment when we all realize just how obvious it is to Conrad that his mother can barely tolerate being around him. The level of family dysfunction is physically discomforting. Throughout the film, they have a series of conversations that are truly bizarre. They're speaking the same language, but they don't really seem like they're actually talking to each other. Beth is so focused on what she's supposed to say, what a normal mother talking to her normal son sounds like, that her lines don't quite match up with Conrad's, and as a result their conversation is barely coherent. So where does that leave Donald Sutherland as Calvin, the good-natured father, the one emotionally stable person in the family? He's stuck between a son who he loves and is desperately worried about, and a wife who is cold and seems clinically narcissistic. Poor guy. His relationship with Beth is complex and undergoes a rollercoaster ride over the course of the film. Everything we know about Beth seems to point to the fact that she is old money and has had her emotions bred out of her, sacrificing feelings to maintain the image of the perfect family. In a lot of ways, Beth is angry at Conrad not so much because he tried to commit suicide, but because he had done something to upset the perfect little bubble she had created for herself. There's a line that Conrad has when he's speaking to the psychiatrist that is very telling. He says in a defeated tone, "I'm never going to be forgiven for that! You can't get it out, all the blood in her towels and in her rugs." Later, when Calvin has his heartbreaking conversation with Beth where he finally comes to terms with the kind of person she is, he tells her, "we would have been alright if there wasn't any mess." Beth needs things perfect and orderly, both for her own peace of mind and for the image she has to present to other people. She gets angry when Calvin discusses Conrad's mental health with a friend at a party, because god forbid he air their family's dirty laundry in public. Because if no one else can see it, it can easily be ignored. Any emotional reaction she has in the film is funneled through the idea of what she's supposed to feel. She doesn't say, "I don't hate Conrad," she says, "Mothers don't hate their sons." Mother of the year, right? Perhaps not, but Mary Tyler Moore is consistently engaging and draws you in as much as she frustrates you. Not that there's a lot of competition, but this is easily her best performance ever, and well deserving of an Oscar nomination. That's really what sets this film apart: the performances. They're all onion characters that you can peel back each layer and analyze and keep learning new things about them. Which is great in theory, but really needs a tremendous group of actors to actually execute it well. Donald Sutherland seemingly has the least to do of the main characters, but he wrings emotion out of every scene he shares with his unfeeling wife and his son who feels too much. When we're talking about impressive debuts, we kind of also have to mention Robert Redford, whose direction also took home Oscar gold. The film isn't a visually magnificent production, in fact, it's fairly traditional and unexciting. 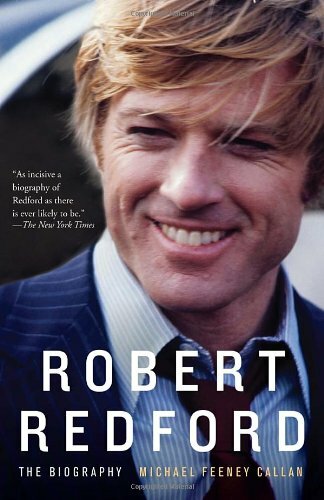 But where Redford excels is in his work with the actors, building complicated and emotionally intelligent characters in a way that few directors who weren't also actors are capable of. So that's Ordinary People. A movie that I overlooked for years as being unnecessarily saccharine and thus not worth watching. That was super dumb of me and I feel like I should probably do a Cersei Lannister walk of shame right about now. Oh and also there's pint-sized Adam Baldwin too, as (surprise surprise) the bully, proof that even as a slightly awkward teenager he was more intimidating than any one of us can hope to be. BRB just need to google “does the dog die” real quick because anxiety. A classic parable: you either die a courtesan at the top of your game or live long enough to see yourself become the circus freak. Oof. Who ever knew a film about the pointless destruction of young life would get this DARK? A movie with significantly less Alec Baldwin than we as a society have been led to believe. The Japanese version of that one time your dad told you not to worry about coming home for Thanksgiving, after all, your grandparents are going to live forever, right? A gay man dying from AIDS sues his law firm for discrimination, so you know, obviously a rom com. Less ordinary, more rich and white and WASPy and emotionally repressed. Orphans, dead animals, the devastation of World War II...and you thought the first 15 minutes of Up were hard to watch.